Ghanaians must embrace the rich opportunities in tourism and take advantage of that to create business activities to promote the industry for the growth of the economy, Goyimwole Enukomekuo Kpodo, president of the School of Hotel, Restaurant and Tourism Management, has said. Mr. Kpodo was speaking at a sponsor’s forum held in Accra as part of preparations towards the First National Hospitality and Tourism Career Fair and Exhibition (NATHAFEST 2014), scheduled to take place on October 8 and 9, this year. 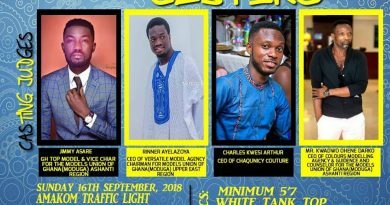 The event is expected to expose Ghanaians to ample opportunities in the tourism and hospitality industry and also encourage the youth to pursue life-long careers in tourism and the hospitality business. Mr. Kpodo said NATHAFEST 2014 would address the role of tourism and hospitality in Ghana’s economy with emphasis on how the nation could use the sector to generate and expand sustainable employment for the youth. “NATHAFEST would be a combination of a career fair, an exhibition and a seminar on employment opportunities that would create the platform for interaction between potential job seekers and employers, as well as career guidance and counseling sessions,” he said. Mr. Kpodo therefore appealed to stakeholders in hospitality and tourism as well as corporate bodies and individuals to be agents of transformation of the two sectors to facilitate the creation of jobs to help resolve the unemployment issues in the country.